Hello, my dear readers! I'm so happy that more people have discovered my blog lately and that they even email me asking for advice or giving me some advice. I received a lovely comment asking why I don't wear heels. Well, I love heels and I have quite some beautiful pairs (I believe) but the main reason you haven't seen wedges,pumps etc lately is because I have been in Florence and is nearly impossible to walk on all those cobbled streets, especially when you are like me and barely spend couple hours a day in the hotel room. I took long walks there, beside the visiting part. 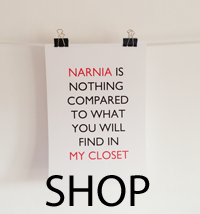 I would go with my cousin or even alone and wander around the magical city. I am home now and I missed my friends so much! I went out with S. yesterday(who also took the amazing pictures!) and there was a lot of walking as well, so I thought about a funny compromise: flatforms. This way you can't say I don't wear heels, and I feel as if I was wearing my lovely flats. Also, I finally get to show you a necklace that has an imense value for me: the golden Paris one, which I bought last year in Prague, from Claire's. Funny, right? Have a lovely week, for any questions don't hesitate to write me! Very lovely and I love the color of your skirt. If they asked you why you wear flats, mine was the opposite, lol. Thank you for visiting my blog and commenting. I appreiate it. I am following you now on GFC, hope you do the same. What a stunning look! I absolutely love that skirt. It is such a pretty colour too! If you want, visit my blog, cutie. You look great, what a lovely outfit! I completely understand the difficulty with certain shoes when walking on cobblestone--it's so hard! wow! 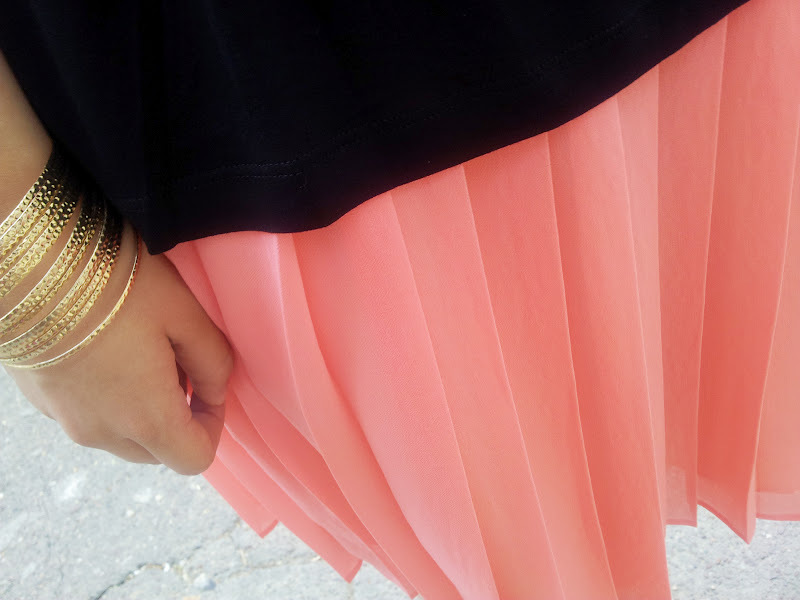 loving that coral pleated skirt, i want it now! Thanks for visiting my blog! I've followed you, if you want you can follow back! You look great. Nice blog. What about following each other? Hello Mary, amazing look:D Your skirt is beautiful. Thx for your lovely comment, Sure...your blog is great and I follow you now via gfc/851 and bloglovin/139, hope you follow back, keep in touch. Love how you've put this outfit together! Very stylish! I'm your newest follower! I would be so happy if you followed back! i like it how you dont wear heels! i try to avoid them too especially when im out and about because i hate getting sore feet! but i love your skirt!! the colour is stunning! simply love the colour of the skirt - so sweet! Hi sweetie!! I like your outfit, especially skirt! LOVE this outfit <3 you look amazing! New follower right here :) can't wait for more posts! Thanks for stopping by my blog! 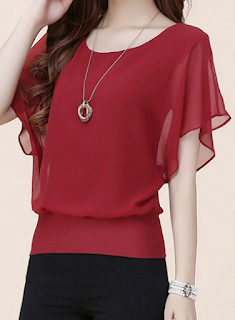 Lovely skirt and necklace. Followed you, please follow back! You look beautiful! Love this skirt. Thanks for stopping by my blog, definitely following you back! love this looks - so simple and fresh. u look gorgeous in that outfit! Following you..please follow back to keep in touch through comments!! Lovely! Great blog and outfits! I loved!!! Thank you for visit my blog! I'm following you here on GFC and bloglovin! Kisses and keep posting! I liked soo much! Hiiii Love your style!!! lovely post <3 i follow u! kiss! Lovely outfit, I just love your skirt! Your blog is great too, do you mind follow each other? Please let me know! Ho, I love your skirt! And your necklace is stunning!! Thanks for your comment ! Yes, sure we can follow each other, i'm now followin you, hope you can do the same! Love the pretty skirt and your gorgeous blog! I just signed up as your newest follower I'd love it if you popped by my blog. Stunning look and great blog you have. I love your classic lady like style!